It's been fabulous to see people responding to the War on Waste program that ran on the ABC recently. What a great job he's done making us see the monster we are creating. And in propelling us to make simple, yet powerful, changes. I've been pondering why I don't take my own mug more often. I'm quite keen to, but just don't remember. I realised one of the problems is that it would be rolling around in my bag. After some serious tea consumption and despite my best efforts, there may be a drop or two left. As well as being a crying shame (to waste tea) it would also mess up the highly organised and streamlined crazy dumping ground that is my bag. I've come up with a solution! A BYO Mug bag that can contain any drips, and be easily cleaned. 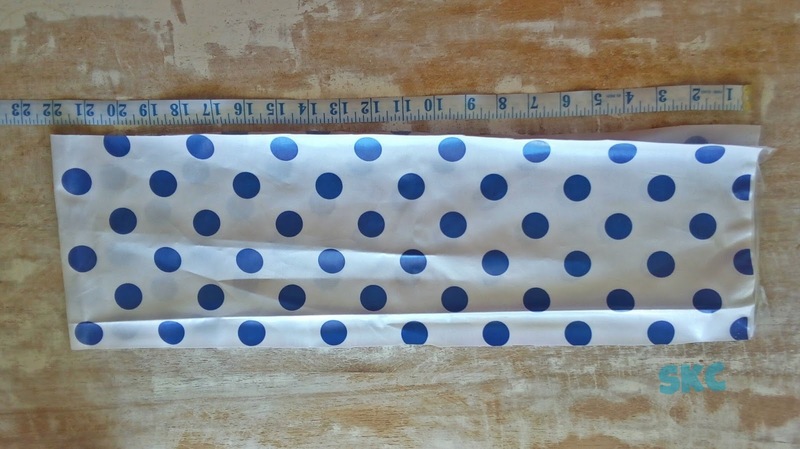 I have some laminated fabric taking up space in my stash of fabrics. 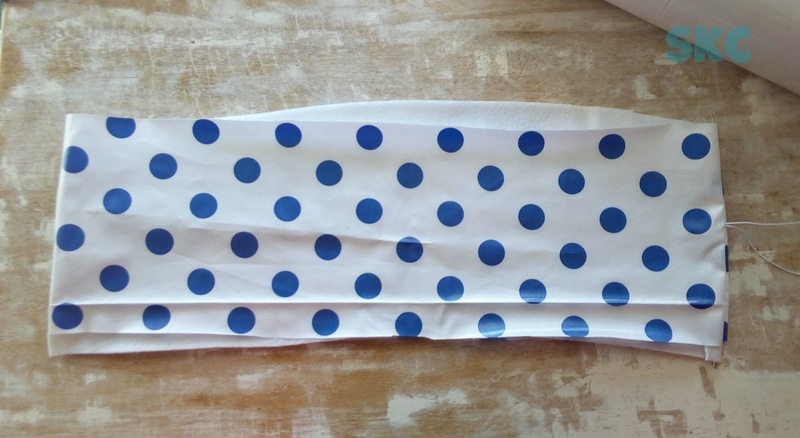 I'm sure there is something terribly bad for the environment about this fabric, but seeing as I already have it, I might as well put it to good use so it can redeem itself. 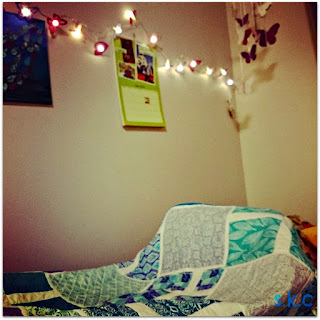 If you're interested in making one yourself, here's my tutorial. This is a pretty simple project, as I designed this to simplify tricky sewing manoeuvres (basically, I'm lazy) If you can sew a straight line, you can do this! 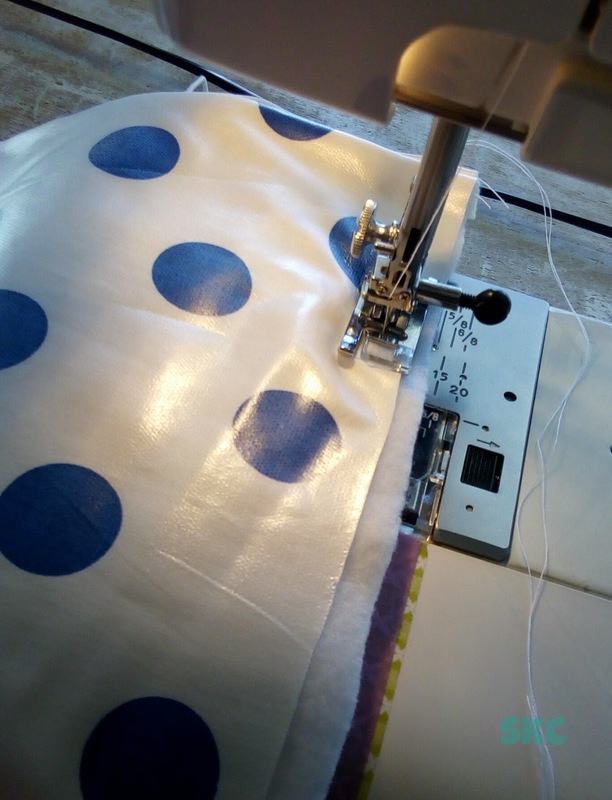 You'll spend the rest of your project-making time trying to avoid knocking it over while you wrangle fabric and sewing machines, but it will fortify you. Do not skip this step! 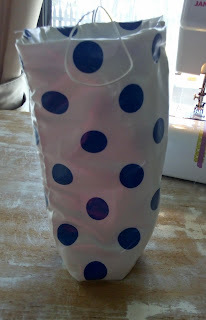 Laminated fabric - I bought mine years ago at Spotlight, it's pretty lightweight so I will line it with fleece to protect the mug a little (I will have a breakable mug because I can't bear drinking out of plastic. Now I really sound like a tea snob...). 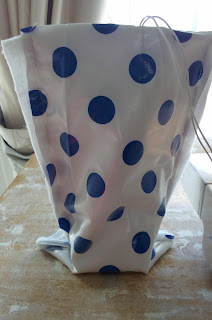 Oilcloth is another funky alternative that comes in some fabulous designs. 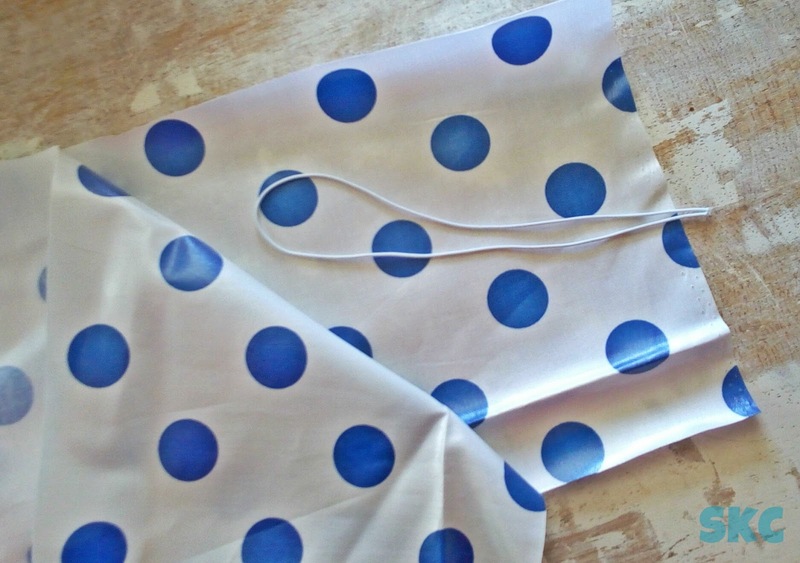 I've also heard it's possible to get an iron-on laminate for cotton fabric. 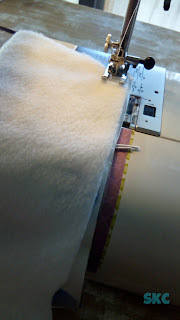 Fleece - this was to provide a bit of padding for my mug, as well as to reinforce the outer fabric a little. 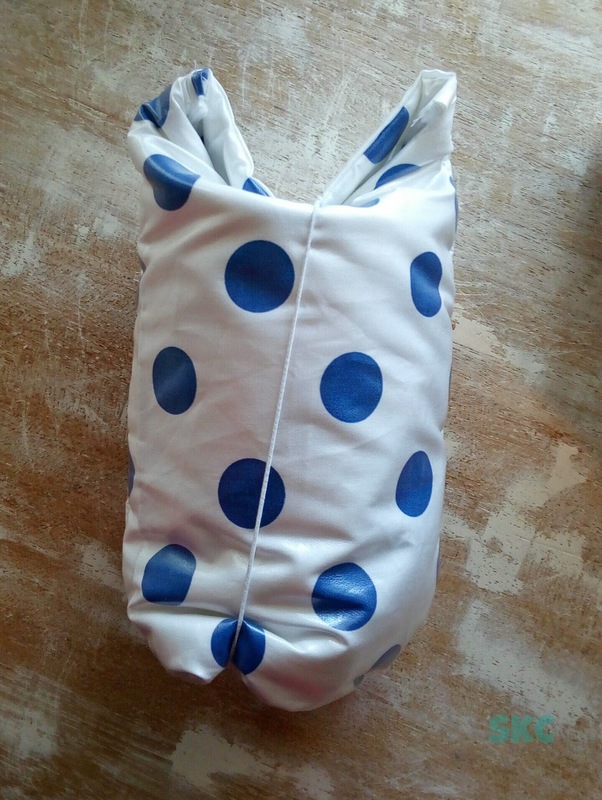 You could also use interfacing or flannelette for strength instead, just take care with ironing the laminate! Elastic - a narrow braided elastic is probably best. I tried with Hat Elastic but it slipped out of the stitching. 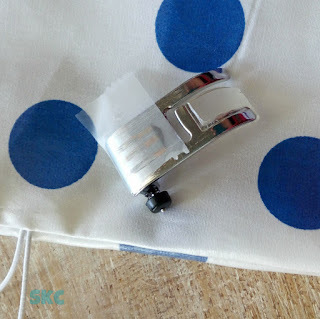 Sticky Tape - the magic tape kind - Laminated Fabrics don't play nice with sewing machines, so you will use this on the bottom of the presser foot (the bit on the sewing machine that holds down the fabric as it goes through. You only need to do this when the laminate is right side out. Putting some paper over the project would also help here. 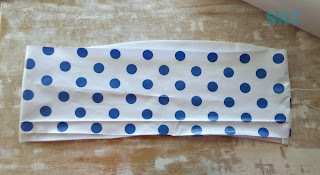 When you sew over the elastic, use your sewing machine reverse function to back up & go over this again to strengthen it. Continue on your merry way sewing until you reach the edge. Turn the sandwich out the right way - the elastic loop will now be on the outside, and the laminate will face out. The fleece will be inside the sandwich. Trim the edges if yours looks like a dog's breakfast (like mine) and /or you can be bothered. 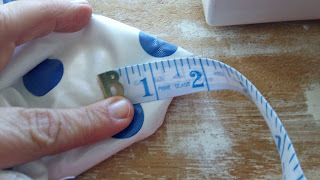 Remove your presser foot, and place a small piece of magic sticky tape on the base of it. Make sure it doesn't cover the hole in the foot that the needle goes through. Pop the presser foot back onto the machine. 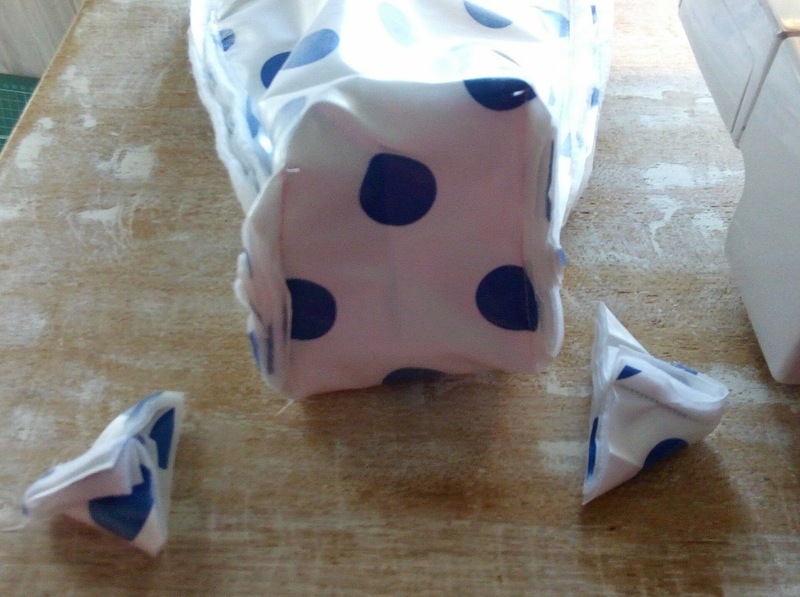 Take your sandwich, and fold it in half, lining up the short edges. If you prefer one side to the other have it facing inwards (so it becomes the outside of the bag) - but really it shouldn't matter as both sides are the same. This can be a bit tricky because of the laminate - you may have to push it through the machine a little. Sew down each side of the bag. While it is still inside out. 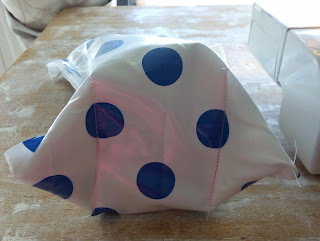 Pinch one side seam and make it match to the crease at the bottom of the bag. Underneath that seam, I have pressed the crease of the base of the bag. That may not look like 1.5 inches, but trust me, it's supposed to be! Keeping the side seam pinched to the base crease sew along the line you drew for both sides. It can stand up all by itself! 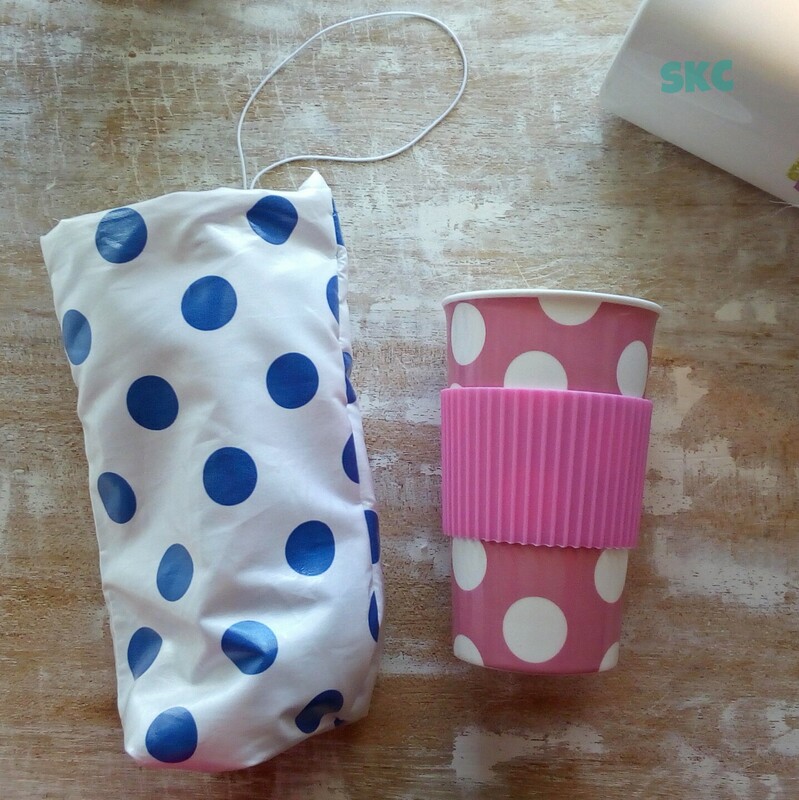 Pop in your favourite travel mug. Loop the elastic around to close it, and there you are. Don't forget to take it with you! And don't forget to take the sticky tape off your presser foot, or it will mess with other sewing projects you do! 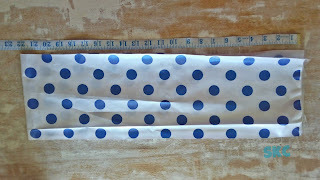 four 8 x 22.5 inch strips of the laminate fabric, and two 8 x 11.5 inch fleece linings. Follow a similar process, starting with sandwiching the elastic between short ends of 2 of the laminated pieces along with a piece of fleece. Repeat (sans elastic) for the other laminate & fleece. While the laminate still has right sides facing (i.e. 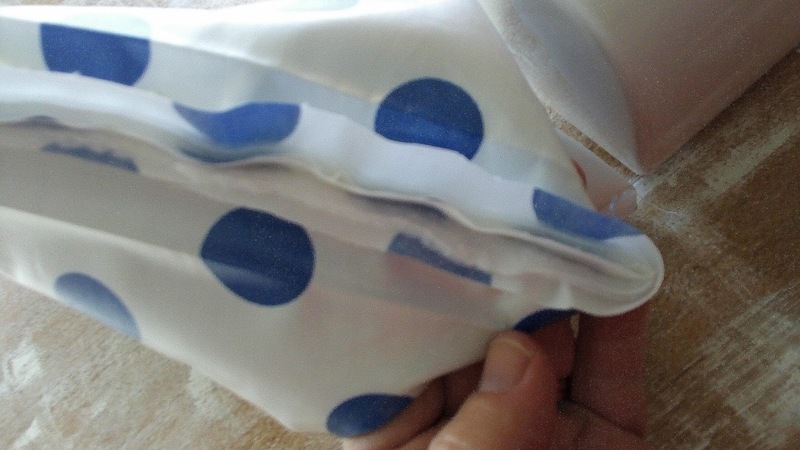 wrong sides facing out) stitch down the long sides of both sandwiches (one with elastic, one without). Follow the rest of the process from Step 6.